Cabinet rushes to fulfil obligations before IMF. The Cabinet decided to set a uniform price of gas 6,879 hryvnya per cu m as of 1 May, Prime Minister Volodymyr Groysman stated at a cabinet meeting on Wednesday. "Today, we must make a difficult but necessary decision for our state - the issue of establishing a uniform gas price. I am confident that we will finally resolve this issue and this will be the last change in gas prices in the history of our state. For years, this issue was the subject for speculations. It is important that we are transparent, open and fulfil all the obligations that Ukraine has taken before the IMF. As is known, today’s price of gas, which has not been economically feasible, was at 7,200 hryvnya [per thousand cu m]. In accordance with the resolution that is proposed for consideration of the government, this price will be reduced to 6879 hryvnya," said Groysman. Groysman said he believed the system of social subsidies is capable of covering the introduced changes in prices. "I think we should put an end to this injustice, we must take care of every citizen of Ukraine, who is down and out today. And the subsidy system should be effective enough to protect those who do not have high incomes with targeted assistance from the state. Of course, those who have high incomes, will have to pay full price for the gas they consume. I want to assure everyone that everyone who is in need of additional social protection from the state, will get it," Groysman said. 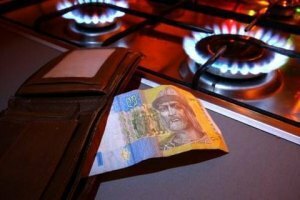 Currently, gas price for household consumers is set at 7.2 hryvnya per cu m, while the so-called "social tariff" at hryvnya 3.6 per cu m is set for consumers with individual heating. It covers 1,200 cu ms of gas for the heating period from 1 October, 2015 to 31 March, 2016. The previous government planned to cut as of on April 1 the normal rate of 7.2 hryvnya per cu m down to about 6.5 hryvnya, but to hike the "social" rate from 3.6 hryvnya to 5.5 hryvnya. Increasing gas tariffs is part of Ukraine’s obligations before the IMF. The previous Cabinet had planned to complete it by 2017, but Groysman’s recent statement may suggest that the market rate will be introduced already this year.